Do you know the feeling you justed planted your Fall bulbs, to find out the next day deer ate your bulbs? If you answered this question with a yes, keep on reading. If not so, you’re lucky! We’ll give you tips on how to prevent deer eating your bulbs. 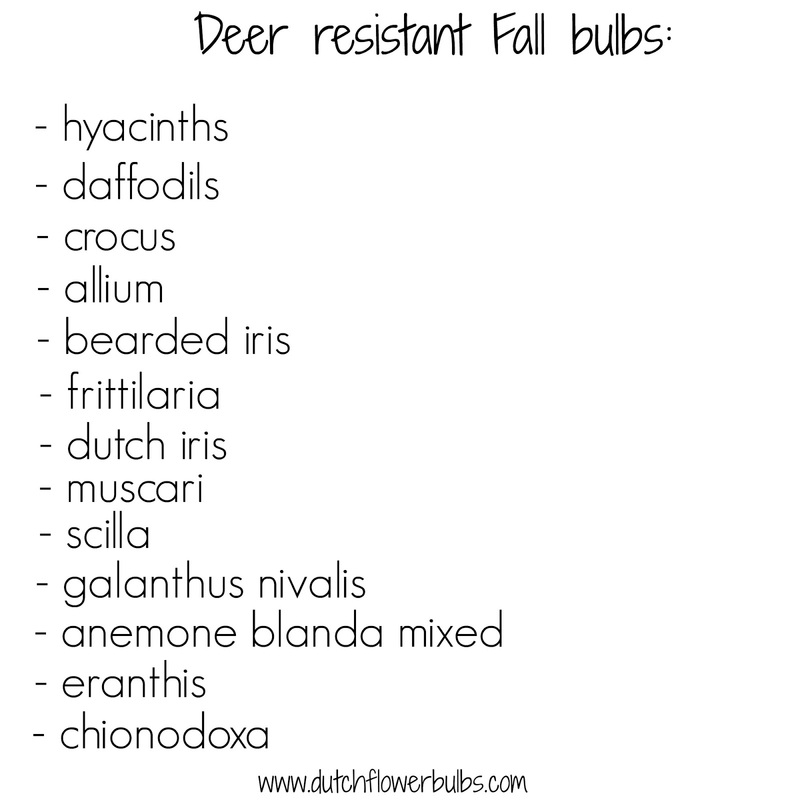 We also provided this blog with a list of bulbs that deer won’t eat. But we must say, it depends on how hungry the deer is. They will almost eat anything. Fencing is the most common solution, just as netting and metal stakes. Use a high fence otherwise they will just jump right over the fence or net. Fencing and netting doesn’t always looks fabulous in your garden. 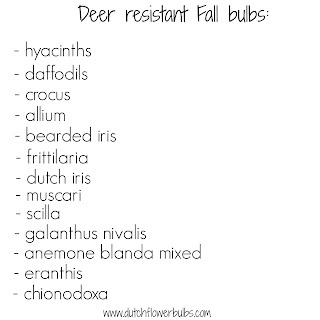 Ofcourse you can buy the bulbs that deer won’t eat, but they don’t come in a wide selection. 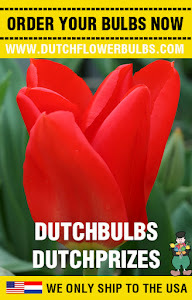 And why shouldn’t you buy the flowerbulbs you really want to have? Because you don’t want the deer eating your bulbs, but there are also tricks to prevent deer from eating your bulbs. Certain items like reflective items, hidden lines, branches with thorns and sprinklers will deter the deer. They scare easily so put something in your garden that makes noise like a flag or an electric wire. Spray something with an unappealing scent like garlic or rotten eggs. Spray this when your not in the garden, for example at night. So it doesn’t bother yourself when it smells the worst. You can also use deer deterrent sprays, but make sure you use the organics ones. Some of the chemical sprays can be very aggresive. But once again, when these deer are hungry they will almost eat anything. Keep in mind that these animals learn fast, so try rotating different methods.